Waqf is defined as a permanent or temporary donation of an asset for a charitable cause. Waqf has its own legal personality that entails specific rights and obligations. Waqf asset managers are not owners but trustees and must abide by all conditions set by the waqf in the first instance. Due to its perpetual nature, Waqf activities has resulted in the accumulation of waqf assets devoted to provide increasing flow of revenues to help in the socio-economic development of the Muslim Ummah. Its benefits are not restricted to the Muslim community alone but go beyond religious, cultural, racial and sectarian boundaries. It is unfortunate that the neglect of waqf over the last few centuries has resulted in a great number of underdeveloped and abandoned waqf properties in various Muslim nations. Economic, political, legal and educational problems have been repeatedly stated as the key factors that affect the development of waqf assets. 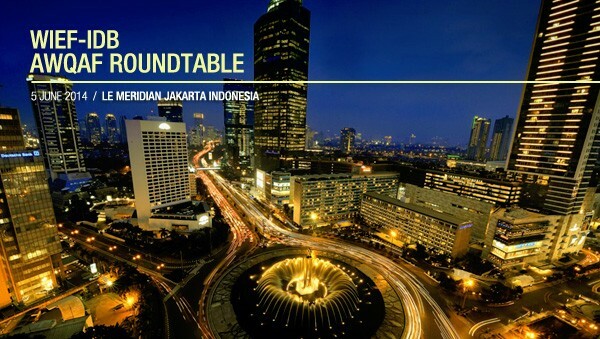 The WIEF-IDB Awqaf Roundtable would allow a unique discourse onthe vast untapped potential of Waqf assets in the socio-economic development of the Muslim communities. It would also promote a shift in mindset and recognition of the importance of waqf and encourage governments, religious councils and waqf management to be more proactive in unlocking its economic potential, as well as its philanthropic objectives. Please DOWNLOAD the full event programme book here.